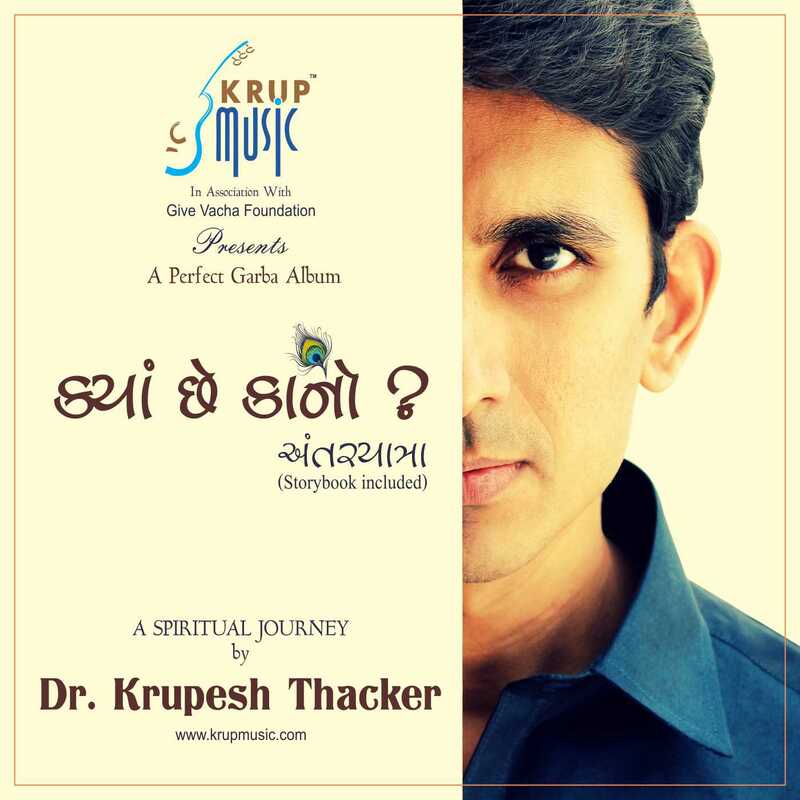 Dr. Krupesh Thacker	— Kyan Chhe Kano? 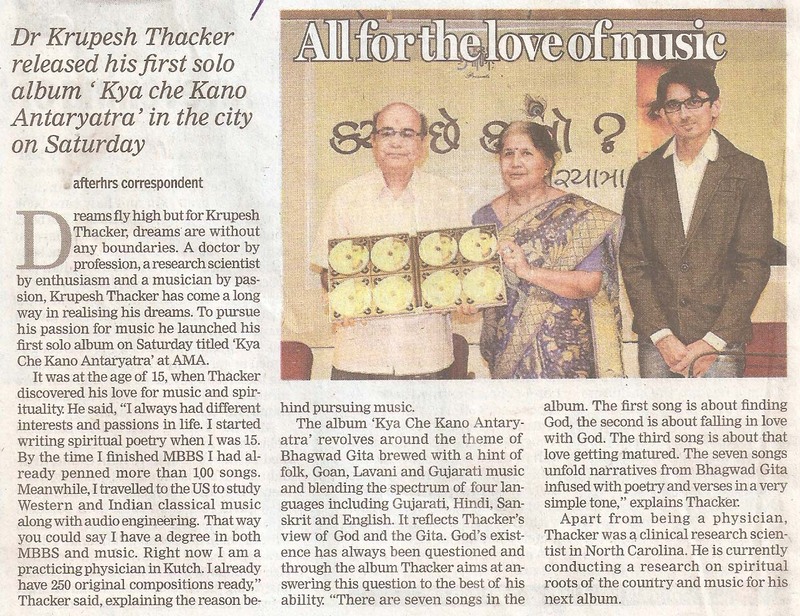 Kyan Chhe Kano?, is a Spiritual Journey album. A Spiritual Journey of each one of us that starts with the Search of God and ends with the realization of Ultimate Truth. The title track is a musical conversation between a daughter and a father. Bhagwad Gita is the inspiration for Album songs. All the songs in the Album are interwoven by a story of Spiritual Journey, of each one of us, which begins from the Search of God to the realization of Ultimate Truth. By the time we realize the concept of “Universal God”, generation next is ready to ask the same question about the “Existence of God”. Thus the circle of Spiritual Journey continues. Title song is a conversation between a daughter and father where daughter asks about the existence of god and father explains the concept of “Universal God” in a simple and musical way. 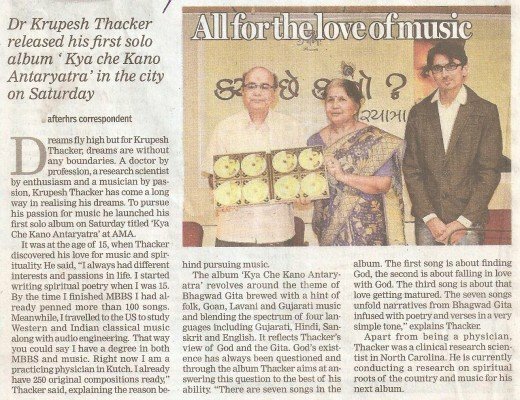 7 Songs of this album includes 4 languages Gujarati, Hindi, Sanskrit & English. Songs reflects the folk music of Gujarat with blend of Lavani, Goan music and western music.